Some people just make it look easy. It could be a friend, your grandmother, or that colleague at work that always brings in Tupperware brimming with home-cooked delights that seem store-bought. These people seldom need a cookbook, always season things just right, and can squeeze miracles out of the most barren kitchens. What about the rest of us though? When you’re unsure about your cooking skills it’s easy to get discouraged and just pick up the pizza delivery magnet from the refrigerator. The good news is that it’s not nearly as hard as you think to become a better cook, and there’s no need to enroll in a cooking class or to spend hours poring over cook books. All it takes is just a few simple steps and every day tricks that you can use to make your cooking better than ever—and no one needs to know how easy it was. You don’t have to take out a bank loan and raid the nearest Williams-Sonoma branch. Getting the right tools can be as simple as pulling out your smartphone. 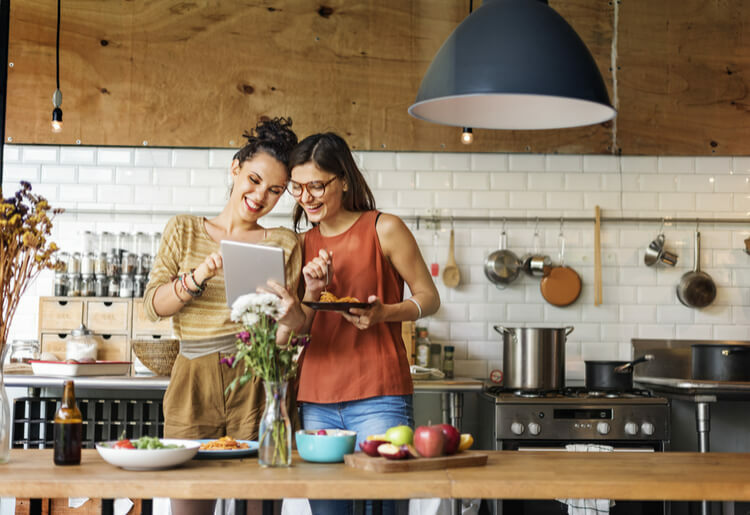 In moments, you can take your pick from all types of cooking apps that can give you some kitchen help and inspiration right at your fingertips. Cooking apps like Big Oven and Allrecipes Dinner Spinner can provide you with a virtually endless selection of recipes to choose from, and can be easily customized to your individual preferences. You can also browse the most popular recipes and organize your meals for the coming days, weeks, and even months. Some of these apps can even help you plan out your grocery run, so you don’t get the perfect recipe and get home to find you don’t have what you need. You can also find tools within the apps that help with some of the calculations of cooking, including serving size converters and timers for your cooking. Many of these apps are free, though some charge a small fee. Now, once you’ve got the right tools on your smartphone, it’s time to make sure your kitchen cabinets are well-stocked. First and foremost, invest in a quality chef’s knife. This is an 8 to 9 inch blade that you can use for just about anything in the kitchen. Make sure to also buy a hand-held sharpener so you can keep the blade well-honed. You can also buy a solid bread knife or paring knife, but having that go-to knife is your first priority. A versatile pan that you can use for everything from perfectly browned steaks to fluffy eggs is also a must, as is a saucepan that you can use for boiling pastas or making a batch of soup. Having these essentials can make all the difference. When you bite into something and it tastes bland and flavorless, chances are it wasn’t seasoned. Make sure when cooking to sprinkle some salt in the pan—test it—and sprinkle more until you get it just right. Also, consider switching to kosher salt or sea salt for seasoning. It adds texture and a certain luxury to salads and vegetables, and if you keep some in a ramekin next to your stove, you can sprinkle without missing a beat. Herbs and spices can add flavor and color to any dish. They can make your cooking more aromatic and vibrant, without adding any calories, carbs, or fat to your food. They’ll also give you the means to fix up a brilliant cup of tea for after your meal. Starting a small herb garden at your place can also be a fun way to make sure you keep your spice rack stocked. Chances are that you know somebody who has a subscription to a meal kit delivery service—they’re just that popular. Meal kits can improve your home cooking in a whole lot of different ways. Meal kits provide you with inventive and unique recipe ideas that on your own you might not come up with. After all, everybody has their go-to recipes, which can also be the dishes we’re sick of making night after night. With meal kits you get the ideas and inspiration from the company,and then the tools and ingredients to make it happen. Another way meal kits work is that they include ingredients you might not be used to, things as wide-ranging as harissa, za’atar, jicama, and tamarind that you can learn how to use in tasty recipes. All of the ingredients come precisely proportioned, so you’ll have just the right amount of everything you need. Simply put, meal kits broaden your horizons when it comes to recipes and ingredients, and make it much easier to create top-quality meals at home. You don’t have to break the bank buying truffles, boutique maple syrup and wagyu beef flown in fresh from Japan, but when it comes to the grocery store, you often get what you pay for. Buying premium produce can make a big difference in your sauces and salads, and if you get to know your local butcher you can make sure to get top cuts of meat and know where it all comes from. Try to avoid the canned stuff, people can taste the difference. And while you don’t have to adopt an all-organic foods diet, investing a little extra in buying organic produce and meat can make your food more flavorful. It also means you’ll be doing your part to help support sustainable farming practices that are better for the environment. Most supermarkets today have extensive organic offerings, but you should also consider checking out your local farmer’s market, where you can support local growers and see exactly who is growing your food, and where it’s coming from. Serving wine with dinner can make your food more delicious—and make your guests seem better-looking. A nice glass of quality wine can make the flavors pop in any meal and highlight the subtle differences in the dishes you serve. It can also make a meal a more luxurious and leisurely affair, heightening the flavors as well as the conversation around the dinner table. 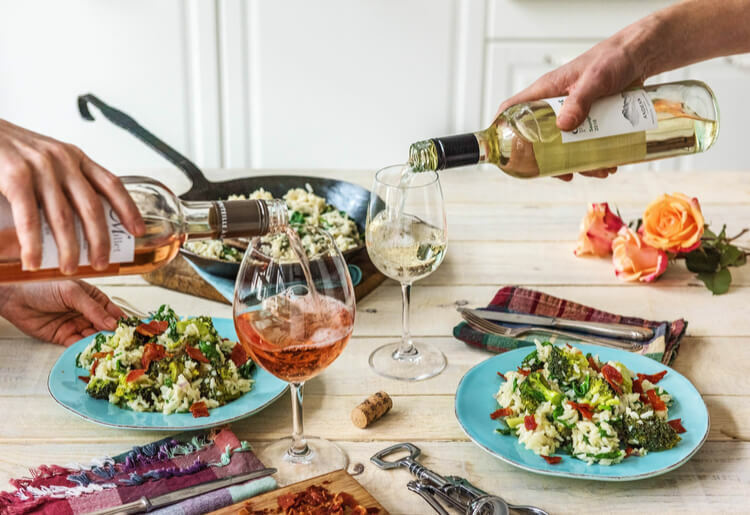 Many meal kit companies now offer special wine pairings for meals, which you can order on a rolling basis. For instance, Blue Apron offers a box of six wines to pair with each month’s meals ($65.99, before tax) and you get to pick from whites, reds, or mix and match however you like. 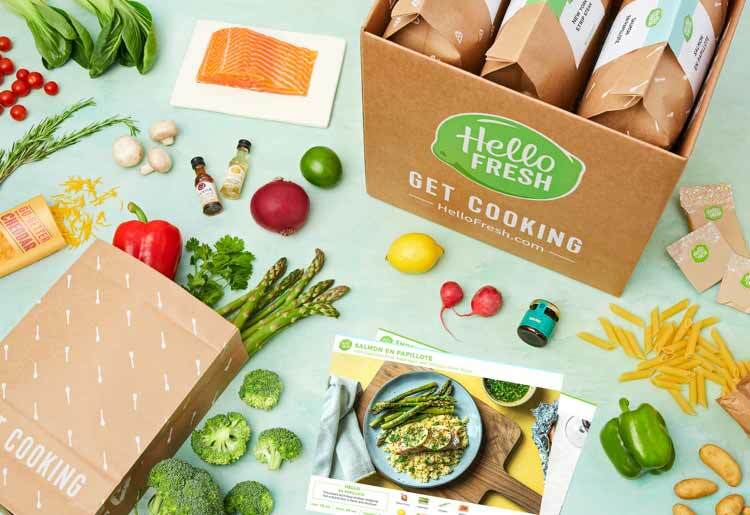 You can opt for a similar plan with HelloFresh, where you can select from a mixed, red, or white wine plan, each of which gives you six bottles of wine for $89 per month, shipping included. You’re not running a Michelin-starred restaurant at your house, but you may like to upload the occasional photo to Instagram. You’ll notice that little touches here or there can boost your cooking. A nice porcelain plate can be the perfect canvas for the eggs benedict you just whipped up and a little dash of perfectly chopped chives on top can make it look like you worked harder than you actually did. These tips aren’t earth-shattering or hard to master. They’re simple, straightforward steps that anyone can incorporate to make their home-cooking more flavorful and enticing. They can also help you overcome some of those kitchen jitters that may have you a bit intimidated about home-cooking. You might just thank us later.